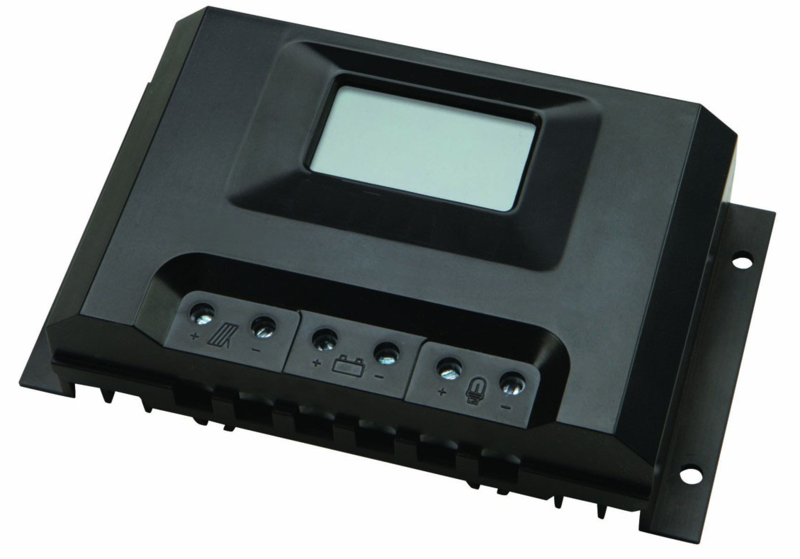 The solar charge controller is used in off-grid and grid-tie with battery backup systems. The charge controller is an electronic voltage regulator that is used to limit the rate at which electric current is drawn in or out of the batteries. The simplest charge controllers turn off the charge when the battery reaches the optimum charging point and turns on when it goes below certain level. It fully charges the battery without permitting overcharge while preventing from reverse current flow. The overcharge or overvoltage may reduce the battery performance or lifespan and may pose a safety risk. Optional Load current compensation for cut-off voltage value variation. 1. 2-Switches are provided for Battery type selection. 2. 1-Switch for selecting 12V/24V mode. 3. 1-Switch for selecting mode during inverter Integration.